I often get enquiry emails from people who want to make their first mobile app. The emails usually start off something like this: “I have website now I want to develop app “. If you want to make your first app, and you have an idea for it, explore your idea with us, we are android developers in Pune. Industry reports revealed that there are some 1.5 billion mobile users. This number alone speak of the many opportunities for android app development since all of these users will use mobile apps. Do you want to Optimize Profits from Your Android App for an existing business? If your app will showcase your car dealership, boat club, local pub or community center, then the fastest way to get it done is probably to Hire Best Android Developers Pune to make it for you. App development process is not complicated. Just show us some apps that you like in the store, and bring along the text, photos and videos you want in your app. Are you confused about iPhone app development, an Android app development, or both? If you want the app to promote a business, then you must go for Android. Reason behind this is there are no ‘reviews’ prior to your app being published, and your app will go live automatically about 20 minutes after you have submitted it. Instant gratification in the mobile world. 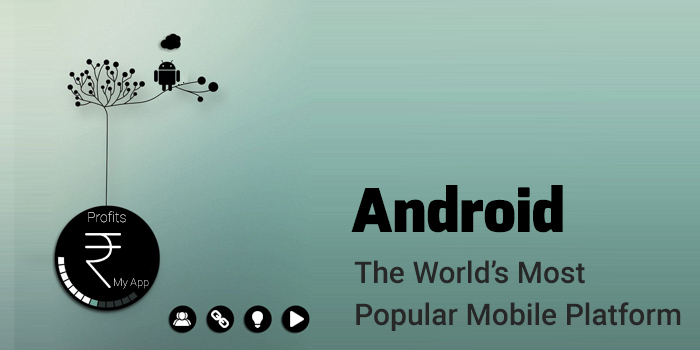 Android is the most popular mobile platforms today, its users are spread across the whole world. This gives you the unique opportunity to reach out to a massive global audience. Why should I offer my app to be free? Each app category has different Pricing parameters. Free is very popular in games and entertainment, especially on Android. We are custom App Development Company in Pune that’s why you can afford to be creative and see your idea put into action. You can launch your app in two versions free and paid. If you want to make your app popular with maximum downloads then make your app free. A very initial thing in android app is that to be at top of the Play store app charts. It means your app should be found most prominently in Search. Hence, you should focus on optimizing your app for the app store. Your app name, icon, title, description and keywords should be such that you are found most easily by Google. We are Versatile, Experienced Android Developers in Pune, we will take care of each and every thing while developing android app for you. We are leading Android application Development Company in Pune which helps you to build Android apps that are scalable and provides brilliant UX as well as Profits in business.